I the Lord do not change. So you, O descendant of Jacob, are not destroyed. Ever since the time of your forefathers you have turned away from my decrees and have not kept them. Return to me, and I will return to you,’ says the Lord Almighty. In tithes and offerings. You are under a curse–the whole nation of you–because you are robbing me. Bring the whole tithe into the storehouse, that there may be food in my house. Test me in this,’ says the Lord Almighty, ‘and see if I will not throw open the floodgates of heaven and pour out so much blessing that you will not have room enough for it. a) Give back to the Lord in gratitude a portion of everything God has given, whether through paychecks, dividends, unexpected windfalls, Social Security payments, allowances or gifts. b) See the tithe as a sacrifice, a donation that seems almost more than affordable, an offering that “makes holy” (the literal meaning of the word “sacrifice”) all the efforts and earnings of the past month. 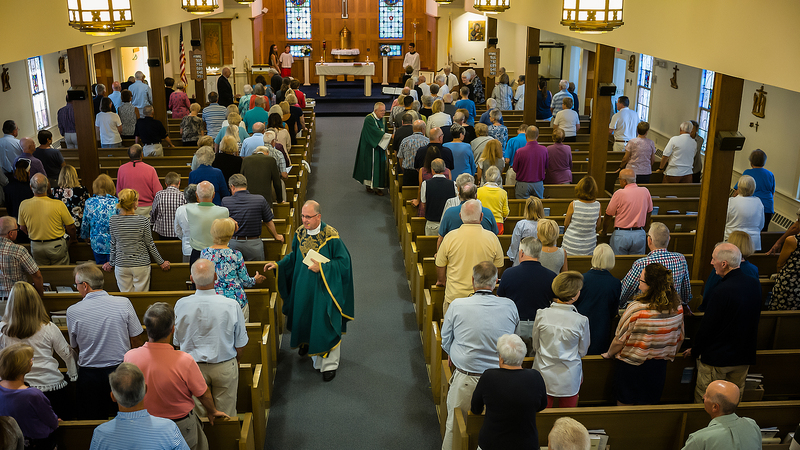 c) Use whatever means the Local Community may use to identify your tithe as a donation from you, thus both manifesting to others your commitment to regular support of the Community and actively participating in the collection as part of the Community’s Conventual Mass worship. d) Consider the biblical norm of tithing in determining the amount of your sacrificial gift. The biblical norm was ten (10) percent of one’s income. The specific amounts or percentages recommended for members shall be discussed in the General Directory. Tithing is rooted in the Hebrew Scriptures, or Old Testament, reinforced by the New Testament teaching on generosity and exemplified in the lives of the early Christians. Additional passages on the biblical basis of tithing are: Dt 12:17-18; 14:22-29; 15:7-11; 26:1-15; Nm 18:21-32; Neh 10:36-40; 13:4-5, 10-14; Sir 35:1-10; Mt 25:44-46; Lk 6:24-25; 9:25; 16:13; 16:19-31; 18:25; Acts 2:42-45; 4:32-35; 2 Cor 8:2; 9:7; Jas 2:15-17. Holy Scripture also promises that God will care for the needs of those who tithe and generously return a share of what the Lord has given them. Additional Scriptures on this call to trust are: Mal 3:10; Mt 6:19-34; Lk 12:22-32; 1 Tm 6:17-19.
a) The word “tithe” orignally meant ten percent (10%). The “tithe,” however, is only a barometer or guideline to help determine one’s sacrificial giving. Some can and should offer more than a 10% tithe; others may have circumstances that warrant them paying less than a 10% tithe. b) If a tithe (10%) is legitimately too much for one’s current budget, a member may begin with a lower percentage that will be both sacrificial and yet possible. Then the member may gradually raise the level of giving until the full tithe is reached. In this way brothers and sisters and families are making a decision for the Lord first and only afterward considering their own needs and wants. c) Families should involve their children in tithing by teaching them through word and by example the priority of returning to God a portion of the blessing He has given us. Children may do this through tithing their allowances or income from part-time jobs. 8. a quiet confidence in the Lord’s protective care.